Who said that Google's I/O conference isn't an important event for iOS users? 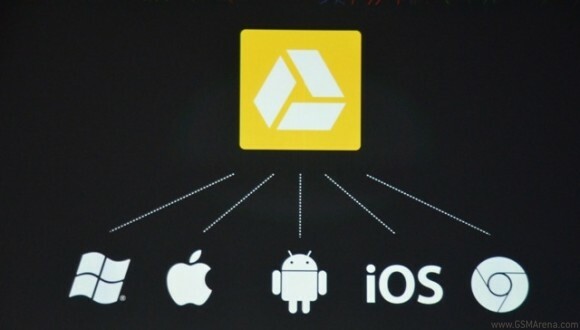 Google just announced that it's adding iOS support to its Drive cloud storage service and Chrome web browser. Google's own cloud storage, which launched back in April, is already available for download at the iTunes store, while Chrome is still on the way, but should arrive later today. Google Drive is compatible with iPhone, iPad and iPod Touch running iOS 5 or later and gives users 5 GB of free storage with the option to expand it for a fee. It will also boast the offline editing feature we just told you about. Google Chrome will be available to iPhone and iPad users running their devices on iOS 4.3 or later. It still hasn't debuted at the App Store, but Google said that should happen later today. The app supports Chrome sync so that if you're using Chrome on your desktop computer too, you'll have all your bookmarks, searches, etc. with you on your iDevice. This should help boost that impressive number of active users even further.